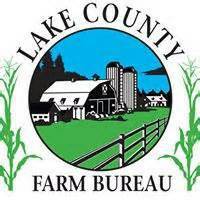 The Lake County Farm Bureau would like to offer all businesses in our area a chance to become a part of the growing list of locations that offer discounts to card-carrying Farm Bureau members through the Business to Member discount program. With nearly 13,000 members belonging to LCFB this is a great opportunity for local businesses to reach out to potential new customers, or perhaps provide a small reward for returning loyal customers who are Farm Bureau members. All businesses that provide a discount to LCFB members will be listed on the Farm Bureau website. In addition, a randomly selected "Local Discount Provider Spotlight" will be featured in each issue of the Diversified Farmer. LCFB will monitor the business services aspect of each request and we retain the right to reject promotions/discounts, which compete against affiliated companies or are not deemed "true discounts". Restaurant – The longest existing restaurant/bar in Grayslake under the same ownership. Thank you for your business. 20% discount rate with advance reservation required. Financial software program to help people enjoy a debt free lifestyle, build worth and secure their financial future. R.E. Allen & Associates, Ltd.
10% off service work or parts purchase. $200 off new a/c or furnace system or $20 off a service call. V. Olsen Heating & Air Conditioning, Inc.
Open play, summer camp, birthday parties. ADA compliant room signage, installation and design. Free fries or side salad with purchase. 50% off 1st three months coaching fee. 1st Consultation is free. $5.00 off any in store purchase over $25.00 or more, excluding wire transfers. Lighting fixtures in stock only additional 10% discount.